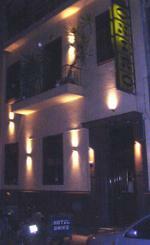 The Hotel Oniro provides a 5-star experience in one of Athens's premier addresses. This luxury property is conveniently located in Central Athens. Situated less than a 10-minute walk from Victoria Metro Station, the Hotel Oniro offers room service. For business travellers, there is a business centre. Athens's attractions, including Athens University of Economics and Business and National Technical University of Athens, are within an easy walking distance of the Hotel Oniro. Guests will find a lot of nice restaurants and bars serving local and international cuisine nearby.